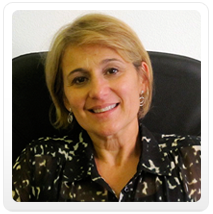 I am a Clinical Psychotherapist with over 30 years of experience. My specialty is working with individuals, couples and families using a psychodynamic and interpersonal approach. I work with adults and adolescents. I have expertise in working with patients from diverse multicultural backgrounds. I have studied and trained at the University of Belgrano, Buenos Aires; Massachusetts Mental Health Center, affiliated to Harvard Medical School, Boston; Massachusetts Institute of Spain, Madrid; The Ackerman Institute for the Family, New York; and the Washington School of Psychiatry, Washington, DC. For the last 18 years, I have been in the Washington, DC area, where I established my private practice. Most recently, I trained at the Washington Baltimore Center for Emotional Focused Couple Therapy. For 11 years, I worked in the Counseling Unit at the World Bank Group and IMF. These opportunities helped me to gain a deeper understanding of the challenges and richness of living in a different culture.